From the automotive and component supply industry to machine and plant construction, and also the oil and gas industry: mechanised welding processes are indispensable in all metal-working sectors. 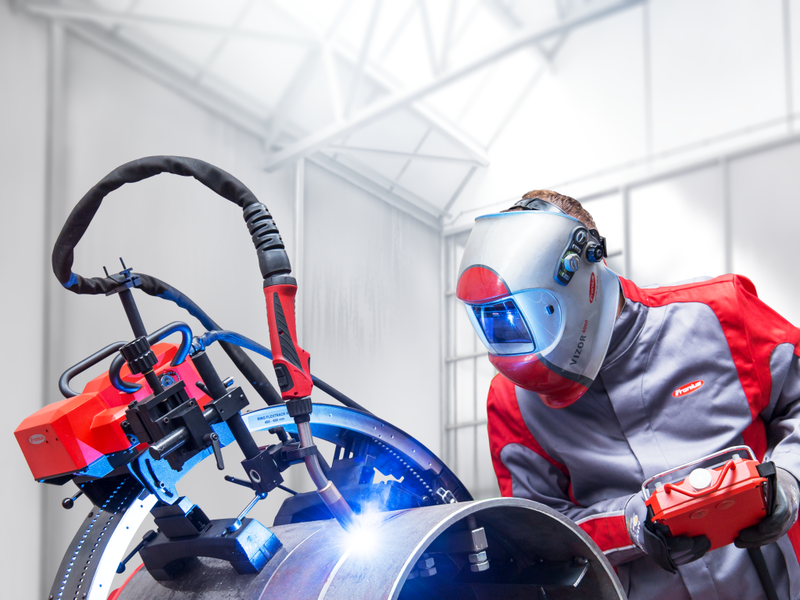 Fronius Perfect Welding therefore offers a wide range of products and services for automated welding technology. This provides the technology leader’s customers with the necessary efficiency, performance and reproducible quality to remain competitive in the face of international competition. Nowadays, welding tasks have to be completed more quickly, more cost-effectively and produce higher quality than ever before, with increasingly complex component geometries and a greater variety of materials. 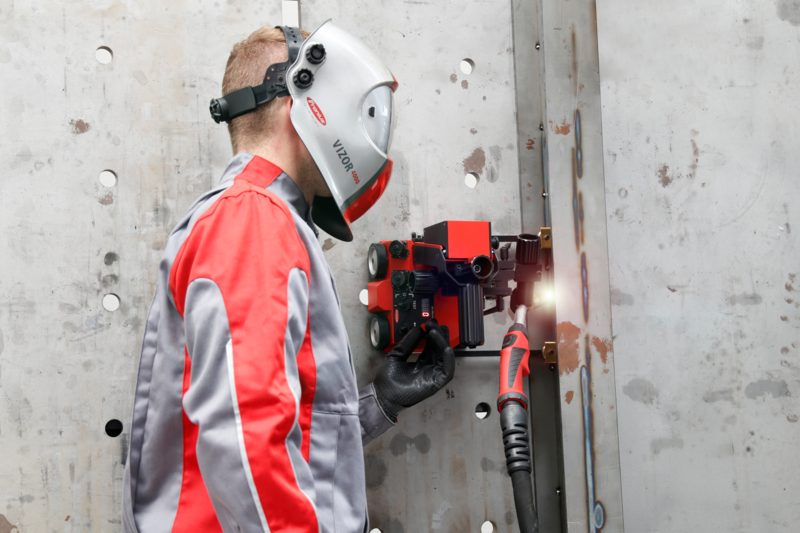 The mechanised welding systems from Fronius often represent a powerful and cost-effective solution to these challenges and are used in a diverse range of applications. Their configurations and the welding processes applied are equally as diverse. For longitudinal welding, the welding torch or the component moves in a lengthwise direction; for circumferential welding, the component rotates around a fixed welding torch. This is in contrast to orbital welding, which is preferred for pipe and flange joints: in this process, the welding torch rotates around a (usually cylindrical) component. Another variant is overlay welding, also known as cladding. This protects components against wear and corrosion by applying a filler metal. Whatever the individual requirements, the experts at Fronius will identify the process that delivers the best, most cost-effective results, and design the ideal system around this. The FlexTrack system consists of rails, which are mounted on the component to be welded plus a carriage, which moves on the rails and guides the welding torch. The FlexTrack 45 Pro rail-mounted welding carriage is a new addition to the range. It is suitable for use in the construction of containers, power stations, bridges, ships and vehicles, and consists of a rail system mounted on the component to be welded plus a carriage that moves on the rails and guides the welding torch. The rails are attached to bridges using a magnet, vacuum or a base and are available in a straight, flexible or orbital design, opening up a wide variety of applications. Users can weld surfaces of varying shapes using different welding processes (MAG, CMT) and positions. The constant speed of the FlexTrack 45 Pro delivers perfect, reproducible results. Its robust, lightweight aluminum housing means it can also be used in tough environmental conditions. The system is quick to assemble, and easy and intuitive to operate using the new, ergonomic FRC-45 Pro remote control with graphical interface. A wide range of accessories enables the FlexTrack 45 Pro to be adapted to the specific conditions with ease. What’s more, users can continue to work with many of the components from the predecessor version of the rail-mounted carriage. Users can perform MAG welding processes in different positions with the ArcRover and, owing to its robust housing, even under adverse conditions. 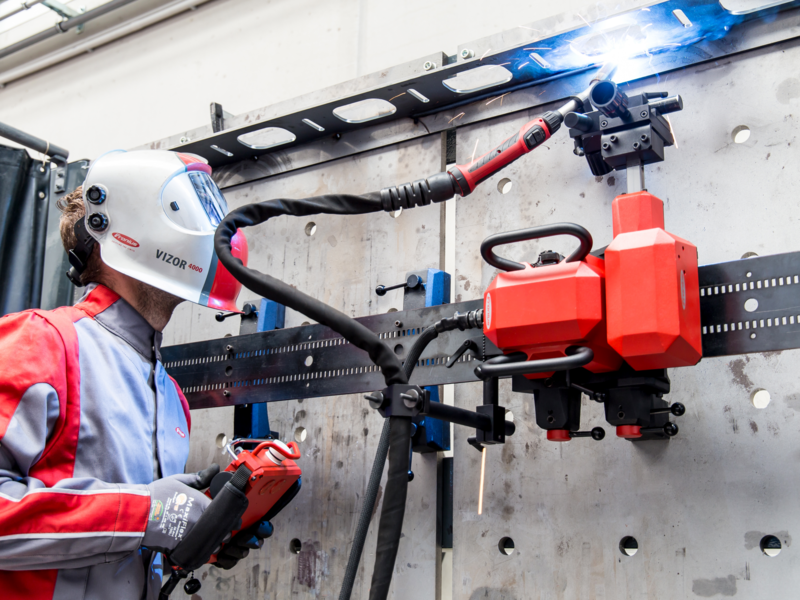 Fronius has also optimised the ArcRover 15 and ArcRover 22 magnetic welding carriages. They boast impressive traction and can be used both vertically and horizontally thanks to the four-wheel drive and magnets integrated in the base. These models are much more powerful than their predecessors, with maximum tensile loads of 15 and 22 kilograms respectively. Power is supplied either from the mains or a high-performance, rapid-charging lithium-ion battery, allowing flexible use of the system over long periods. Lateral, reinforced guide rails with sensing rollers enable precise welding results to be achieved. The universal torch holder is suitable for both manual and automatic welding torches. A control unit with a display is integrated in the carriage, eliminating the need for an external control box. The ArcRovers also impress with their constant speed, which makes the welding process precise and reproducible. The reduced axle spacing enables them to be used on smaller workpieces, increasing their range of applications. The ArcRover allows the user to perform MAG welding processes in different positions and, owing to its robust housing, even under adverse conditions. The FlexTrack 45 Pro rail-mounted welding carriage is suitable for use in the construction of containers, power stations, bridges, ships and vehicles. Fronius offers a wide range of open and closed welding heads for TIG orbital welding with and without filler wire. These are used when welding pipe joints made of steel, stainless steel, titanium, nickel-based alloys, aluminum and other materials – for example in energy technology, biochemistry, microelectronics, the food industry, shipbuilding and the aerospace sector. In combination with a TIG power source and a cooling unit, the FPA 3020 orbital system controller controls the welding heads. The comprehensive standard equipment, offering numerous functions, enables users to perform a wide variety of welding tasks efficiently and to a high standard. An extensive range of accessories is also available to meet special requirements. Fronius assists its customers in designing the ideal automated welding system, from planning and the concept through to engineering, manufacturing and commissioning, as well as servicing and maintenance. Together with the user, experts analyze the requirements of the task at hand. Based on these findings, they then design the perfect welding system from an extensive range of components – or can even develop a special solution for more unique scenarios. This brings key benefits for the user: everything is available from a single source and customers have a reliable partner for all their welding technology needs throughout the entire product lifecycle. Fronius Perfect Welding is the innovation leader for arc and resistance spot welding and is the global market leader for robot assisted welding. As system providers, Fronius Welding Automation also turns customer-specific automated complete welding solutions into reality in a number of areas, from container construction right up to cladding for the offshore sector. Power sources for manual applications, welding accessories and a wide range of services add to our portfolio. With more than 1,000 sales partners worldwide, Fronius Perfect Welding is never far away from our customers. Fronius International GmbH is an Austrian company with headquarters in Pettenbach and other sites in Wels, Thalheim, Steinhaus and Sattledt. With 4,550 employees worldwide, the company is active in the fields of welding technology, photovoltaics and battery charging technology. 91% of its products are exported through 30 international Fronius subsidiaries and sales partners/representatives in over 60 countries. With its innovative products and services and 1,241 granted patents, Fronius is the global innovation leader.